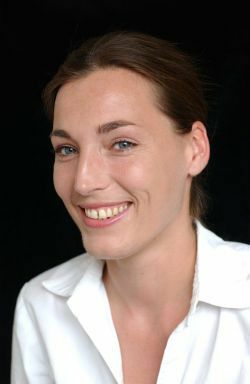 We begin today’s Weekly Roundup in the FT, with Merryn Somerset Webb. This week she was looking at whether life insurance can be used to reduce your IHT bill. There wasn’t much in the financial press last week, so this will be a shorter roundup than usual. Merryn has a problem with how much her readers worry about IHT. That isn’t the allowance – it’s £325K, unchanged for a decade. You also get £125K per person to hand on in property to a direct descendent. So for a married couple with a house worth more than £250K and children to leave it to, the allowance is £900K. I’m not married and have no kids, so my allowance is still £325K. The US allowance is $5M and you can’t live a great life on £1M. £325K definitely isn’t a lot. 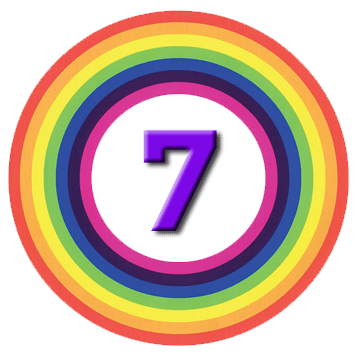 You can of course give away money and assets seven years before you die. If you have someone that you trust with them. And you know when you are going to die. And pensions are tax-free (before age 75) or treated as income on the recipient (after age 75). And you can shelter cash via BPR (usually AIM stocks, but also farms and forests). Despite all these shelters, HMRC collected a record £5.2 bn in IHT last year. You pay a (large) premium each year. The policy is written in trust with your heirs as beneficiaries (to keep it outside your estate). When you die, the heirs get a tax-free lump sum from the trust. The sooner you die, the more they get presumably because there are fewer premiums to offset. The first year premium is £5K. That rises each year by 2.5% + RPI, and then by 5% + RPI each year once he is 80. The payount increases by RPI only (capped at 10% pa). Merryn has worked out that if he dies at 80, the return on the premiums is 7.8% pa.
At 90, it’s only 4.8% pa.
At 100, it’s only 2.7% pa. They are £13K (in today’s money) at age 80. more than £20K at age 90 and £33K at age 100. So lots of old people will stop paying them, and get no return at all. Merryn suggests that people just give away the value of the premiums each month, directly to their heirs. I’ll probably stick with AIM for as long as that relief lasts. Jason Butler looked at spending in retirement. Someone aged 80 spends, on average, 43% less than a 50-year-old. Jason has just taken responsibility for his in-laws’ finances and discovered that a large pot of cash had built up because their monthly spending had fallen below their income. Those aged 80 or over save on average £5.9K per year. Jason looked at the implications for young people who start a workplace pension with minimum contributions at age 25, increasing them after 40 and again after 50. He used a global 60:40 stocks bonds portfolio for the investments. 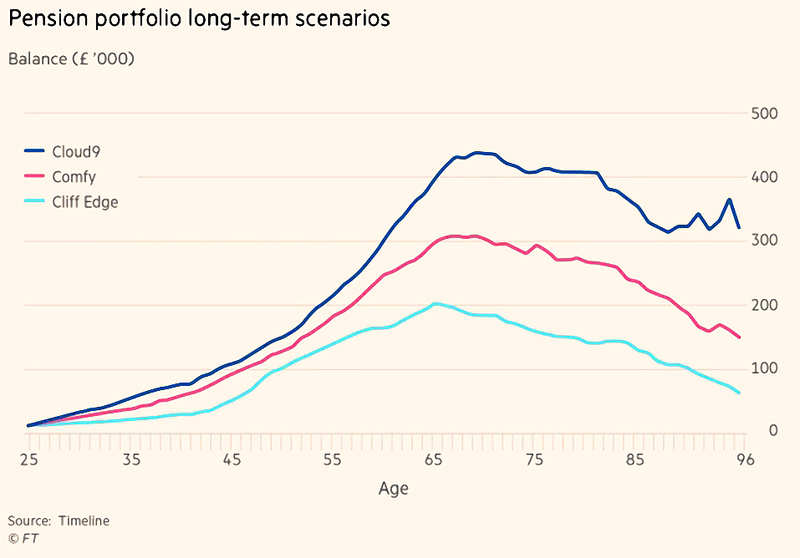 He calculates that they could retire at age 71 with a £20K pa income (in today’s money). 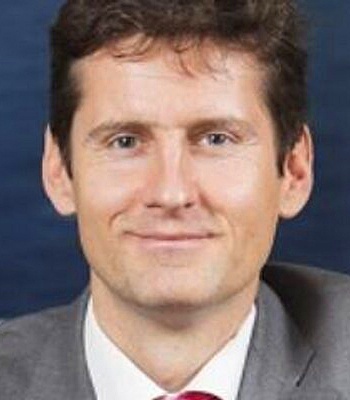 His messages is that young people should not opt out (contributions rose last month) and should look to increase their contributions as they get older. The Economist had three articles (1, 2 and 3) about paying blood donors. This is one of the “repugnant” markets that we have looked at before (organ donation is the best studied, but giving blood is similar. It’s 200 years since the first successful human blood transfusion, but most countries ban payments for plasma, the basis of the “international blood trade”. Plasma is used to make clotting factor, and vaccines for rabies, tetanus and rhesus disease. 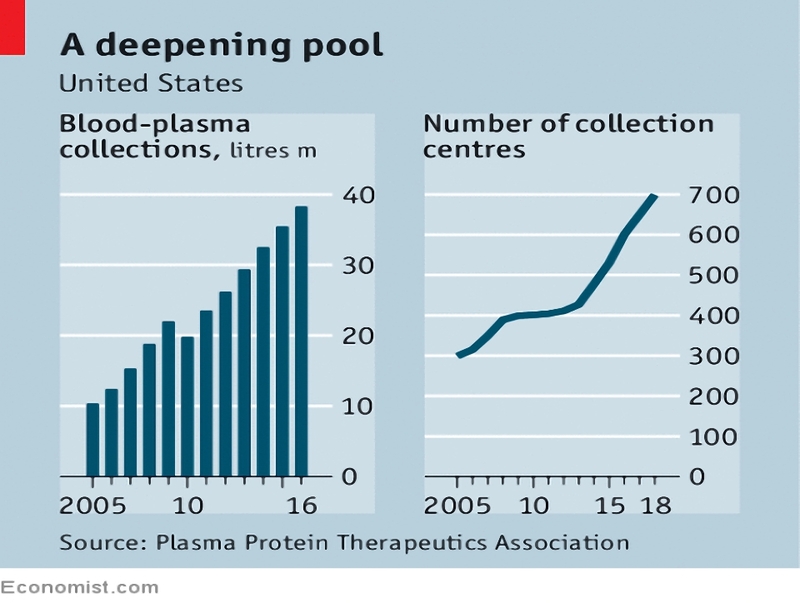 Demand for whole blood is dropping as surgical techniques improve, but 50m litres of plasma were needed in 2015. 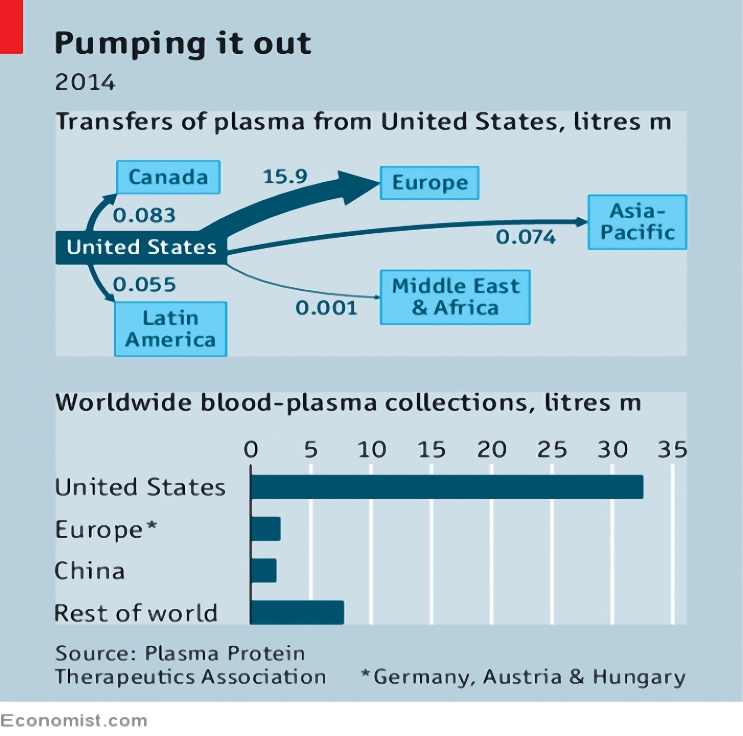 The US produced 75% of global plasma, largely because paying people to donate is legal there. Germany and Hungary do the same, but Australia, France and Belgium have bans, and are big importers. They might motivate donors to hide dangerous behaviour (eg. intravenous drug use). In the 1980s and 1990s, haemophiliacs and plasma donors were infected with HIV by rogue donors. But modern plasma products are heat- and chemically-treated and are much safer. They might divert supply from whole blood (unpaid, since it cannot be sterilised) to plasma. But this does not seem to happen in the US. They prey on the poor, who need the money and would give too often. In the US people can donate twice a week, but it would be relatively easy to reduce this frequency. On that evidence, the Economist is in favour of payments. Buttonwood is retiring after 12 years and 550 columns (he will be replaced). This week he looked back on the advice he would give to his earlier self. Don’t confuse the economy with the financial markets. The markets have recovered from the 2008 crisis, but economic growth has not returned to its previous trend values. Corporate profits have been unexpectedly strong, due to lower competition in key growth industries (tech) and wage suppression due to globalisation. Don’t underestimate the power of central banks. The low interest rates and negative bond yields could not have been foreseen in 2006. QE probably averted another Depression, and has failed to produce the feared inflation. The predicted crash never happened. The finance sector will always overcomplicate and over-extend. Securitisation has been tainted by the dicing of subprime loans. There are too many ETFs, and some provide exposure that is not needed (to volatility, or to ETF providers themselves). In certain cases, they also have a liquidity mismatch, offering instant liquidity yet holding a non-liquid underlying asset (eg. corporate bonds). Once again I have no pictures from Twitter, which seems to be going through a barren patch. Next story Enhanced Transfer Values – Take the Money and Run?